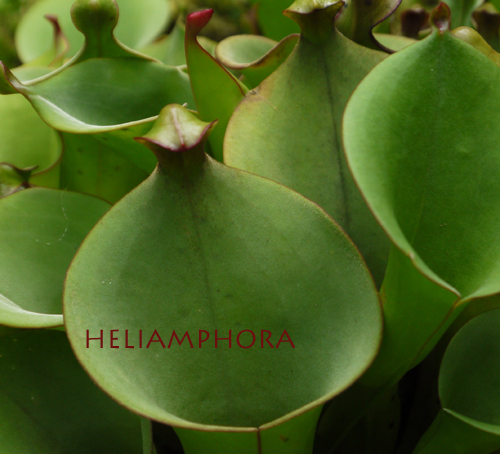 The Sun Pitchers (Heliamphora) are strange. 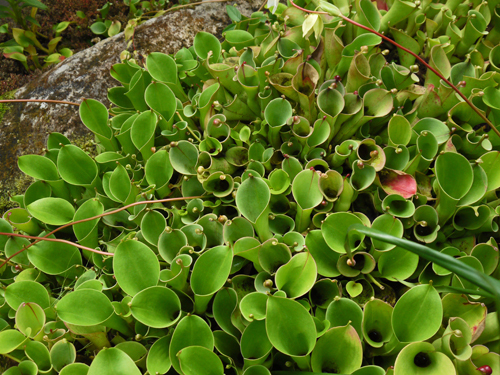 Even among the weird--the animal eating plants-- the Sun Pitchers stand out. No lurid colors, fangs, tentacles or slime mark them as killers. A Sun Pitcher is a sleek, subtly curved and sophisticated funnel. The deadly digestive broth at the bottom consists of bacteria, not enzymes. The funnel has four Death Zones: a zone of downward pointing hairs at the base; a band that is polished and sippery; another zone of long hairs; and an irresistible lure at the top. The lure, an alilen-looking spoon filled with nectar that makes the Sun Pitcher look like it dropped in from another planet. Sun Pitchers grow only on the isolated summits of the tepui or sandstone mesas of southern Venezuela, Guyana and northern Brazil --the legendary Lost World of film and fiction. The summits are blasted by constant wind and heavy rainfall, forming weird geological formations. Deep ridges and windswept canyons are shrouded by clouds and mist. A treacherous climb or a chartered helicopter is required in order to reach the top. 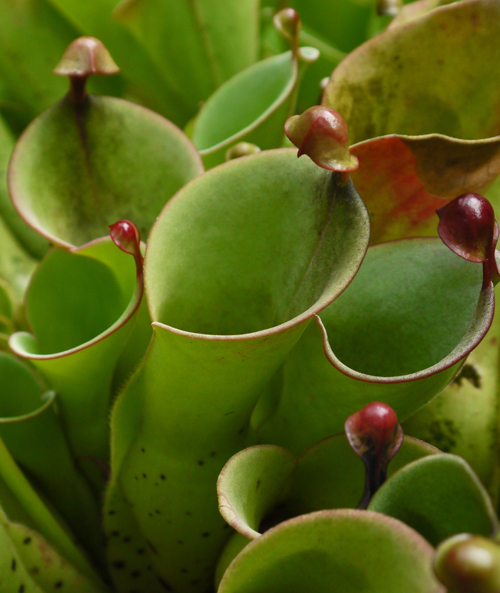 It's no wonder that the Sun Pitchers were undescribed until 1840. The tepui are "islands" of vegetation that have evolved in isolation from the flora of the savannah below. 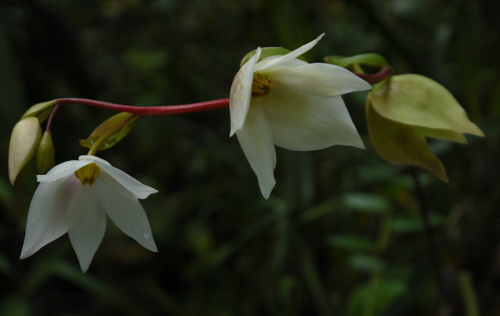 Their flora is unique and rare in cultivation. You can see the strange and wonderful Sun Pitchers in our Tropical High Elevation House. Love the Sun Pitchers! And it's great that you have such a large patch of them. And for those who don't know...during the hottest days of summer, when you need to cool off, the Tropical High Elevation House is the coolest spot in the Garden! Cool plants and cool air...a great combo on a sweltering day.